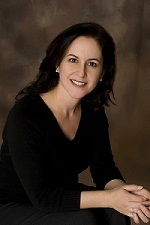 Dr. Gaynor-Krupnick is a mom of two daughters ages five and two, a female urologist fellowship trained in pelvic reconstruction and neurology, and the inventor of Valera, a USDA organic vaginal lubricant, in northern Virginia. How many children do you have? I have two girls: two- and five-years-old. What’s your specialty? I am a female urologist fellowship trained in pelvic reconstruction and neurology. What’s your favorite parenting tip? Always respecting nap and bedtime, or we pay for it. My husband is better at that than I. How do you get your kids to eat healthy food? Eating healthy is easy for my two-year-old because she doesn’t like sweets or carbs too much. But my five-year-old loves carbs and desserts. They have to have at least a few bites of veggie or even fruit at every meal. Fast food is not permitted unless we’re absolutely desperate—like three times per year. I don’t get to crazy if their diet is well-balanced and they are active. How do you work exercise into your family’s life? Exercise is extremely important for me—mentally to release that frustration build-up feeling from the endorphin release and also to keep this 43-year-old body in shape long enough to last to see grandchildren. I can only do it downstairs with my TV, treadmill, and 10- to 15-pound weights at most. How do you recharge your batteries? For fun, my husband and I always have had to had “date night” at least every other week.